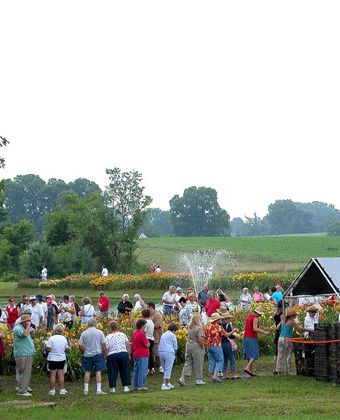 Our 2019 Daylily Festival will be June 28 & 29, 9 a.m. – 3 p.m.
6 Acres of Display • Over 1000 Varieties in Full Bloom • Free for the Whole Family! 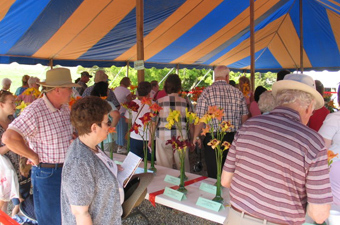 Join Daylily lovers from around the country at the 2019 Daylily Bloom Festival! 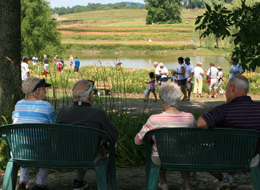 Come enjoy 6 acres of display, with over 1000 varieties in full bloom! 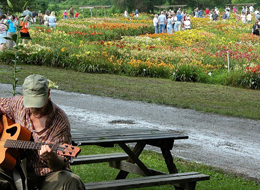 Walk among the display beds, take pictures of your favorites or simply relax in the shade to the music of local artists. 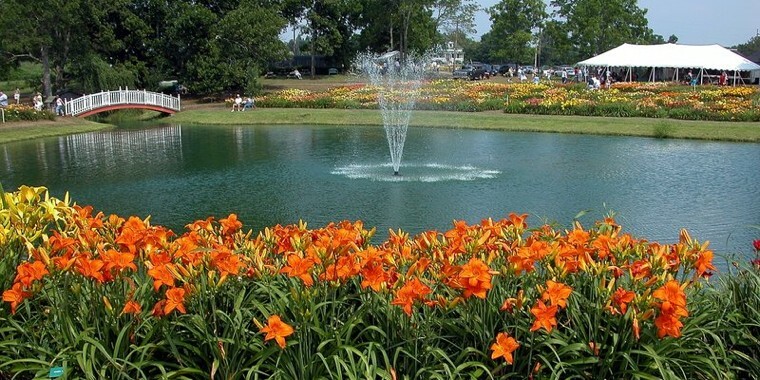 The Daylily Bloom Festival is fun for the whole family! 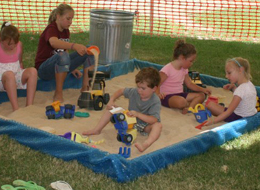 Kids can play in the kid’s tent, and feel free to bring the family dog – on a leash, please. 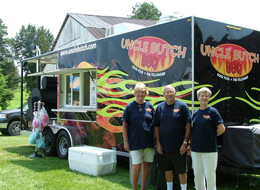 Free refreshments are served and lunch is available for purchase. 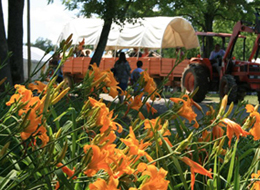 Rain or shine…we’ll see you at the Festival! 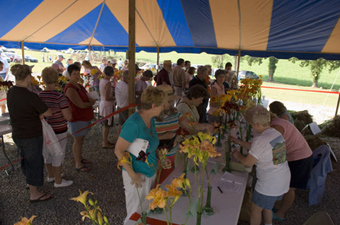 Come one, come all, and join fellow Daylily enthusiasts from all over at the annual Daylily Bloom Festival. 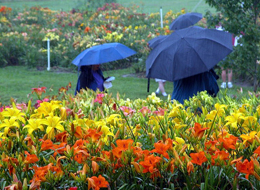 Rain or shine, you will be in awe by the beauty of our Daylilies! 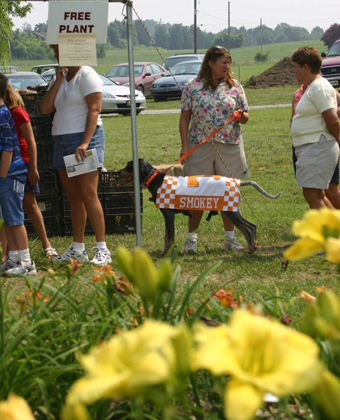 You never know…you might even run into ‘Smokey’, The University of Tennessee mascot!! 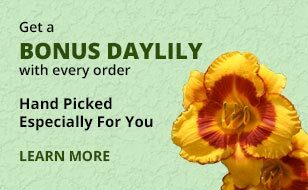 Free daylily for every guest! 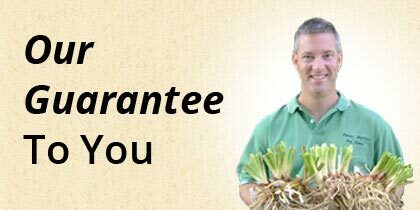 No guest goes home empty handed…and that’s a promise! 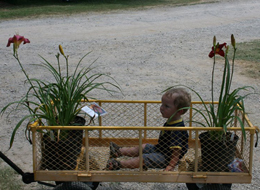 As a Thank You for coming out and taking joy in the beauty of our flowers, every guest is treated to a free Daylily. 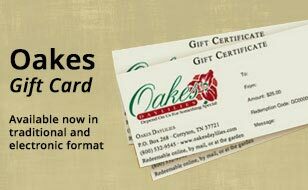 It’s the very least we can do to show our appreciation to all of our supporters! 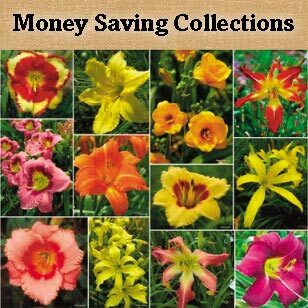 There is even a chance to win one of several $100 Daylilies and other great prizes! 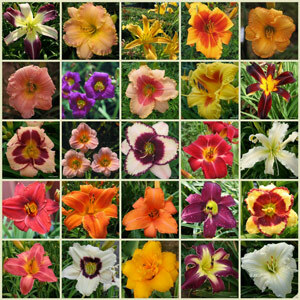 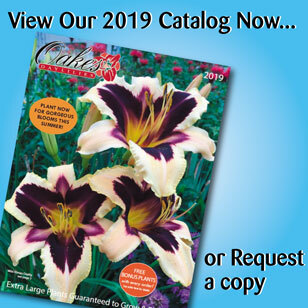 We have dozens of varieties of Daylilies for sale at great prices! 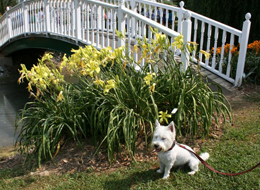 All pre-dug and waiting for you to take them home! 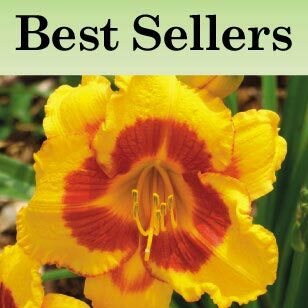 Pink, Red, Lavender, Yellow, Gold… we have a Daylily for you! 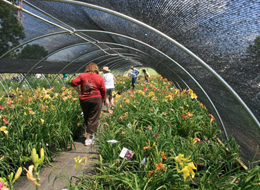 Choose from over a hundred varieties of potted Daylilies, ready to pick up and take home today! 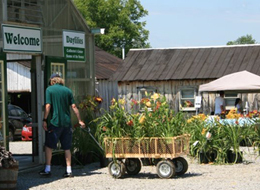 And choose from over 100 varieties of Hosta and other perennials. 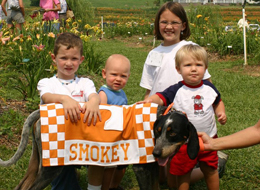 How could we forget about the kiddos? 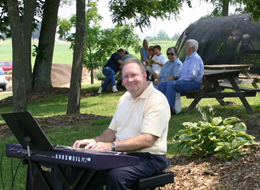 After you enjoy free refreshments, or purchase a lunch for a reasonable price, sit and relax to the sounds from local musicians. 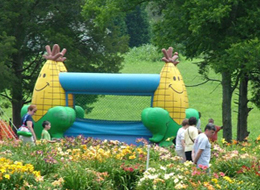 The kids can jump off some energy in the bounce house or play the afternoon away in the sand! 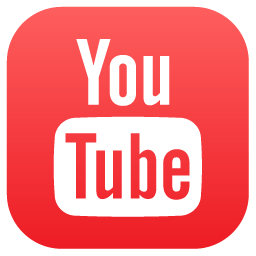 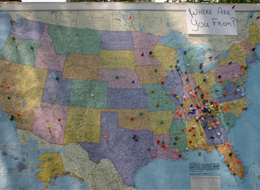 Attending the festival from out of town? 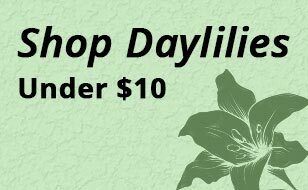 We have arranged for a special rate at the Fairfield Inn Knoxville East (1551 Cracker Barrel Lane, Knoxville 37914) – $69. 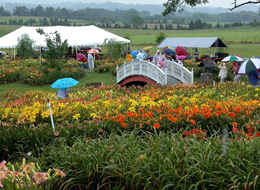 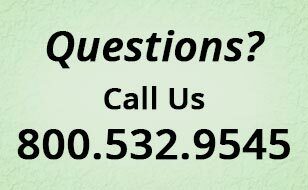 Ask for the Daylily Festival rate when you call — 865-971-4033.